Tite is open to picking Vinicius Junior for the Copa America, insisting Brazil were missing the Real Madrid teenager's individual skill. Vinicius, 18, is sidelined with an ankle injury and missed Brazil's 1-1 friendly draw against Panama on Saturday. The forward may not return until early May, which is a month and a half out from the Copa America. 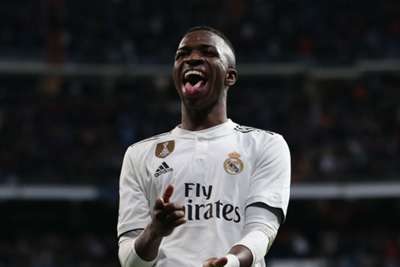 Tite said Brazil could still use Vinicius, who is uncapped but has starred for his nation at youth levels. "Taking advantage of the question about the characteristics of Vinicius and our idea of football, it's to have these players that unbalance the rival," he said. "Players who make individual moves, dribbles, to break the opponent's defence. Vinicius has this characteristic, David Neres has this characteristic." Brazil face the Czech Republic in another friendly in Prague on Tuesday.